Windows XP/2003/Vista/7/8/10 DWF format was created for faster design data sharing. DWF file is a more compact copy of CAD file (in DWG, IPT formats, etc.) that allows to view the content of specific engineering project with no ability to modify it. Using DWF files is not a universal solution, sometimes it is better to present drawings as images. To do this you can use DWF converter that can export files into any image format. The most user-friendly application among such converters is Total CAD Converter that offers to convert DWF to a range of graphic formats. One of the most popular its features is DWF to BMP conversion. BMP is considered to be an outdated format and most of converters don’t support it. But taking into account that it is still popular among users, Total CAD Converter included BMP to the list of available formats for conversion, together with other image file types: • BMP • TIFF • JPEG • PNG • PDF • WMF, etc. 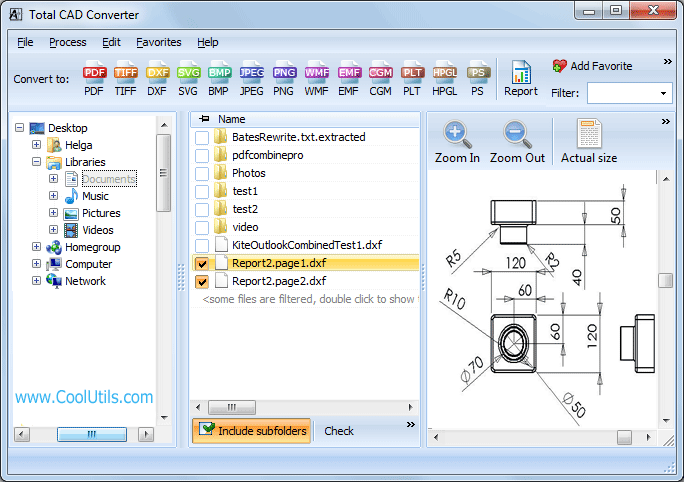 Select DWF source files in the navigation section of Total CAD Converter program window. Select one or more files by checking them in the file list. Select BMP as a format for conversion. Just click on ‘BMP’ button in ‘Convert to’ format bar (at the top left corner of program window). 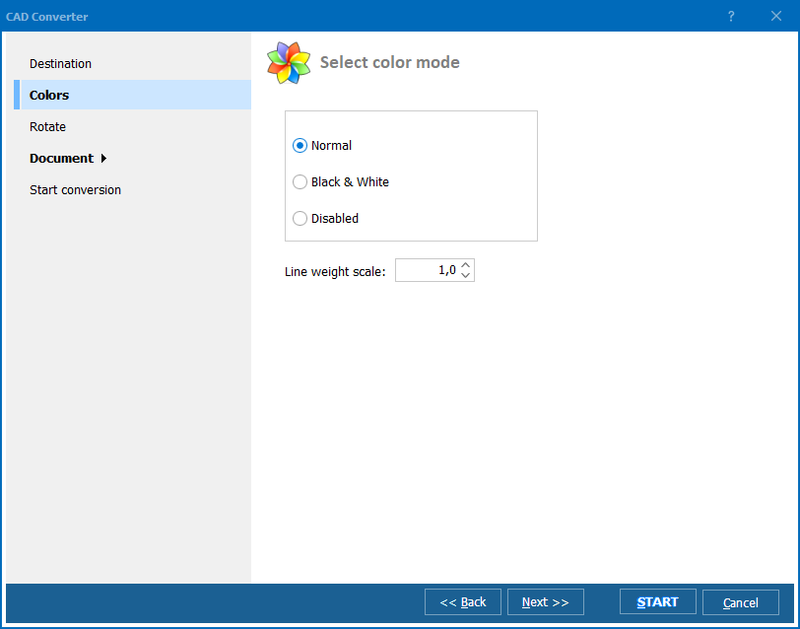 If needed, specify destination for the future BMP files, adjust resize/rotate options and color palette and confirm conversion start by pressing ‘Start!’ button. When converting a few files at a time, all of them will be converted to the files of the same name under .bmp extension. 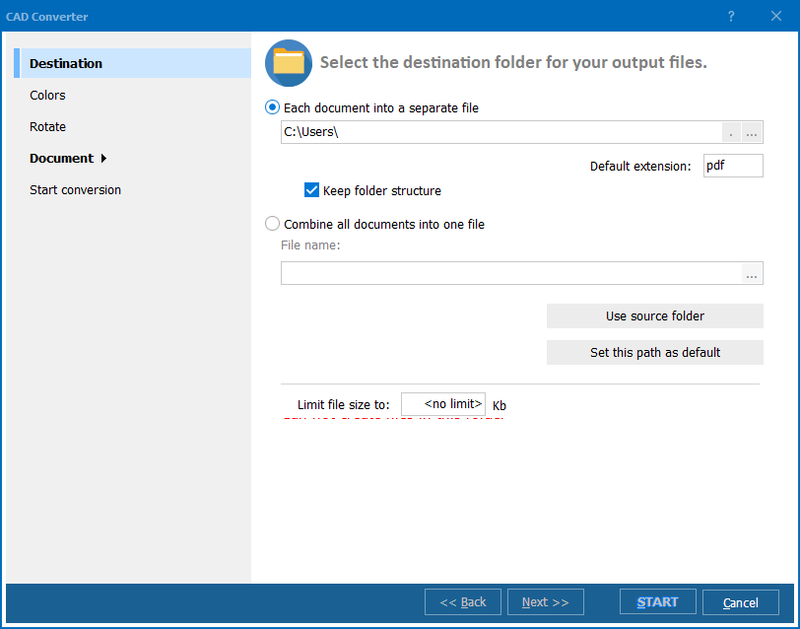 You can convert even the whole folders of DWF files. In this case all files will be converted into one folder you’ve specified as ‘Destination’. If to check the option named ‘Keep folder structure’, CAD converter will create the copies of source file folders containing converted BMP drawings. 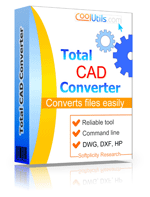 Total CAD Converter is ready for downloading online. Get your copy now.